ItemB-09473 - First Staff Of Kingsway West School, Burnaby; Mrs. Brice, Mrs. Haslam, Miss Forest, Miss Morrow, Miss Banks, Miss Gray, Mr. Drawn. ItemB-09474 - Kingsway West School Class Picture, Burnaby; The Sign In Front Is The School Cheer. ItemB-05826 - "Primary ball mills, showing primary and secondary classifiers in motion; CMS Co. concentrator, Kimberley, BC." ItemB-05827 - "Classifiers; CMS Co. concentrator, Kimberley, BC." 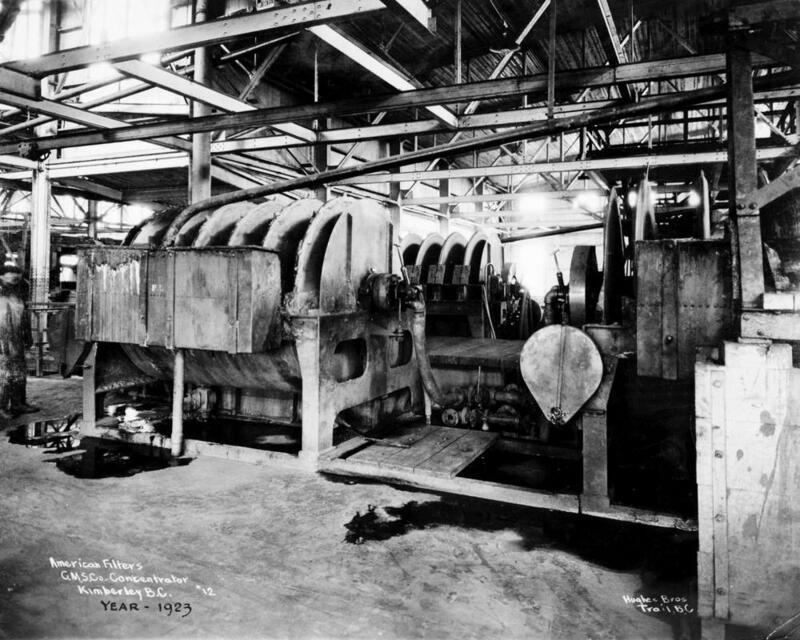 ItemB-05834 - "American filters, CMS Co. concentrator, Kimberley, BC; Year 1923." ItemB-05836 - "Zinc thickeners, CMS Co. concentrator, Kimberley, BC." ItemB-05838 - "Year 1923"; American filters, CMS Co. concentrator, Kimberley, BC." ItemB-05840 - "Coarse crushing plant"; CMS and Co. concentrator, Kimberley, BC. Item B-05834 - "American filters, CMS Co. concentrator, Kimberley, BC; Year 1923."